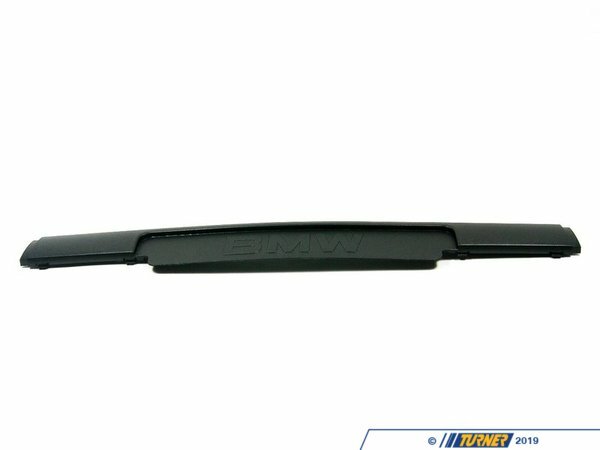 For those E36 M3 owners who are lucky enough not to require a front license plate this molding strip is a must-have. 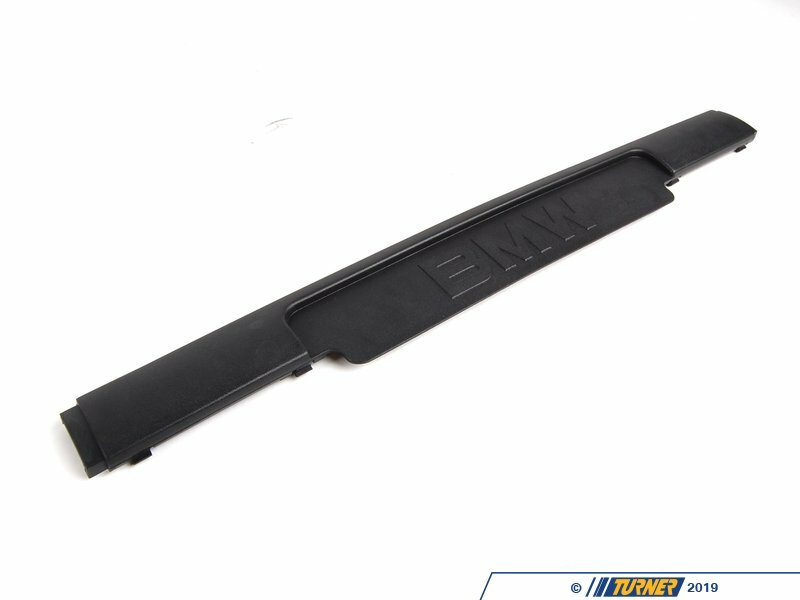 This front trim moulding is the Genuine BMW bumper molding for E36 M3 front bumper without any license plate holes. 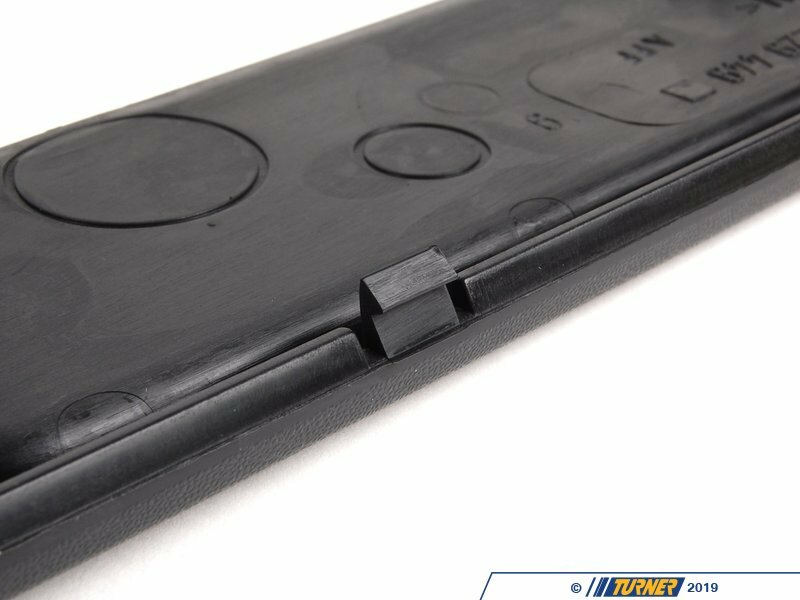 It's a clean, smooth finish (no holes). Essential for that clean appearance. It simply snaps into place on the front spoiler and replaces the stock one. 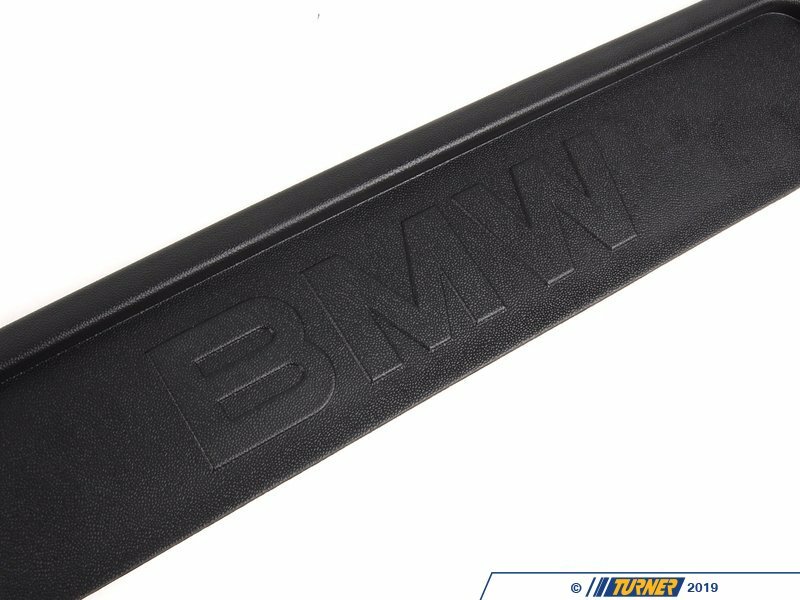 Fits only the original E36 M3 bumper and replica M3 bumpers.This is the black plastic left (drivers) front impact strip on E36 3 series with the M3 or M Technic front bumper, The impact strip snaps into place.